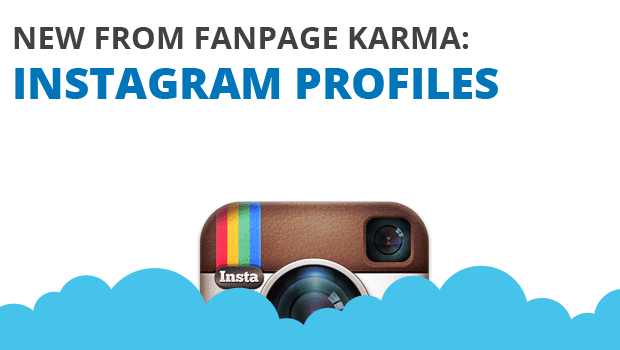 The Instagram analysis offers you a detailed look at a profile of your choice. 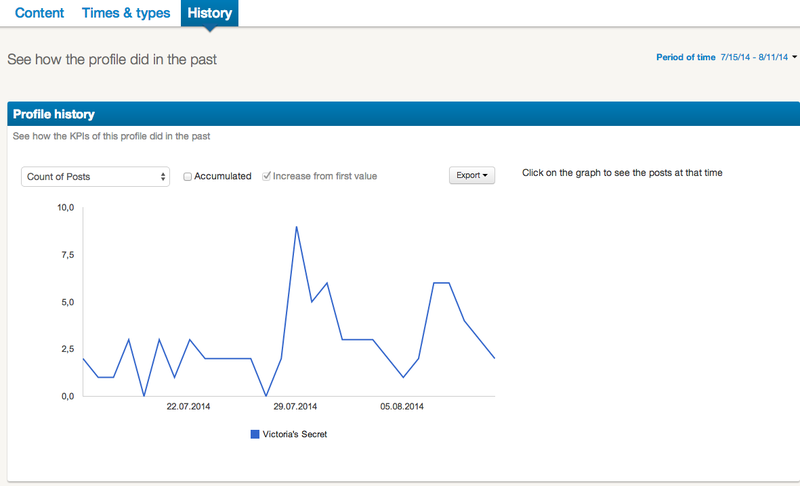 With it, you can evaluate content, times and types and history of an account in detail. In the detailed Content analysis you can evaluate posts by frequency and number of reactions: How many videos and images were posted, and which performed better? Additionally, you see the most successful images, videos, hashtags and words at one glance. Of course you can also search all posts with your specific search term. The Times & Types analysis breaks down all posts in detail: Which days of the week were most active? How high is the frequency of posts? 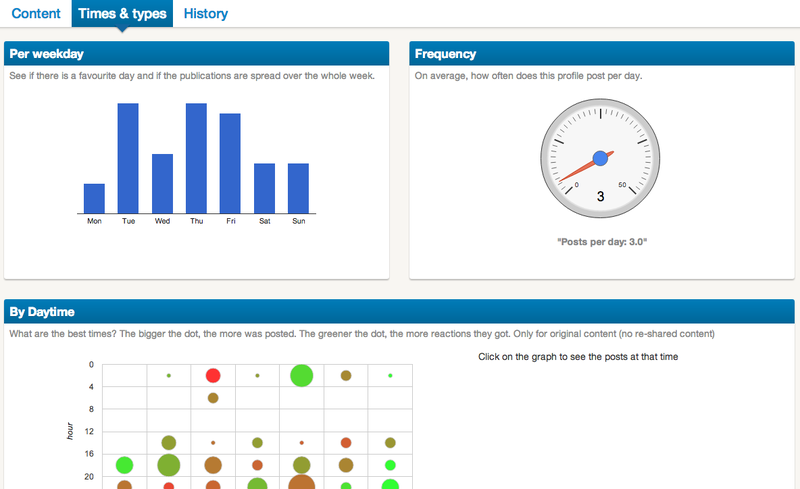 With the help of the Daytime analysis you can find out, which posts at which time caused most reactions. Attachments shows whether a profile posts more images or videos. The Post Types show how high the ratio of interactions of an account is. In the History section you can track in detail, how the analyzed Instagram profile developed over time. Keep an eye on every development.